If you wish to register with the practice please telephone for a suitable appointment with a doctor. You will also be asked to see the nurse for a short medical. If you wish to see a particular doctor please let us know. Bring your medical card with you to the appointment. If you do not have a medical card you may complete a form at the practice. If you are aged 75 or over and have not been seen in the past year, or you are aged 16 to 74 years and have not been seen in the last 3 years, please let the doctor know and you will be offered a short medical with the nurse. The practice covers an area of a 4 mile radius from the surgery; from the Antrim Road in North Belfast to Forestside in South Belfast. You are welcome to download a copy of the Practice Leaflet, which gives more details about the services we offer, please click on the link below. Registration is quite a simple process. All the paperwork needed to register you as a new patient to the Practice is available on this website. 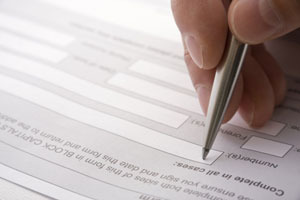 Completed HSC/R1 or HS200 Registration form (the form completed will depend on whether or not you are already registered with a GP practice within Northern Ireland). Copies of the HS200, HSC/R1 and the New Patient Health Questionnaire are available on the next tab above called "Patient Regisration Forms"
If you have previously registered with a GP in Northern Ireland and have a Health & Care number (H&C no.) or you are transferring from a GP in England, Scotland or Wales; please complete the form called HS200. Once completed, please bring this to the Surgery along with your Medical Card (if available), proof of identity and proof of address. If you are from outside of Northern Ireland and do not have a medical card you need to fill in an application form, which is called HSC/R1. This form is available in English and in a range of other languages. Please click on the link below to download the form in English. Once completed, please bring this to the Surgery along with proof of address. In addition to the registration form above, all patients are asked to complete a new patient health questionnaire. The questions asked help speed up your registration to the Practice and give us some basic information about your health in advance of seeing the Nurse or GP. You can click on the link below to download a copy of the questionnaire, alternatively if you do not have access to a printer you may pick up a copy of this paperwork from Reception. Once completed, please return the questionnaire along with you Registration form to Reception.